Navajo silver bracelets are not just a piece of jewelry. Each piece of jewelry is a piece of art that is unique, and is not the result of mass production. When an individual holds a Navajo silver bracelet, they are holding a historical relic, which is the result of a long history, which has been marked by heartaches, trials, and the resilience of people that are survivors. Where are the Navajo Silver Bracelets Made? 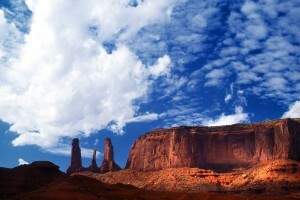 The Navajo reservation is where the authentic Navajo silver bracelets are made. It is the largest Indian reservation in the United States. If you have a Navajo silver bracelet, it will have come from the reservation that comprises parts of the Southwestern United States. The states that the reservation sits on are Utah, Arizona and New Mexico. How did the Navajos that Make the Navajo Silver Bracelet Learn the Art? The Navajos that make the Navajo silver bracelets usually are the descendants of the first Navajo silver smiths. It is said that the Navajos were the first Indians that learned how to use silver and that skill was learned from the Mexicans who were taught by the Spaniards. The beautiful Navajo silver bracelets come from the skills of the first Navajo who learned how to use silver to make silver products. His name was Atsidi Sani or “Old Smith”, who taught the skills to his sons. How has the Making of the Navajo Silver Bracelet Evolved? The Navajo silver bracelets are a mixture of history. The first Navajo silver bracelets were probably simple. But, the skilled tribesmen and women wanted their jewelry to be a piece of art that was useful and beautiful to look at. Each silver bracelet is made by hand. Each Navajo silver bracelet is unique as the person who is making it. There may be gemstones added to the bracelet. Most of the bracelets are made today the same way “Old Smith” did. Navajo silver bracelets are hammered to make intricate designs, the same way as an artist draws on his or her canvas. Not only do the Navajo people appreciate Navajo silver bracelets, but people all over the world have come to love and appreciate a piece of art that is rich in culture. The Navajos silver bracelets usually are a piece of jewelry that is handed down to future generations, and the story of the Navajo people continues to be told.